Pet Emergency? Call us right away at (402) 729-2204! Keep your animals healthy and happy with pet services from Countryside Vet Clinic in Fairbury, NE. 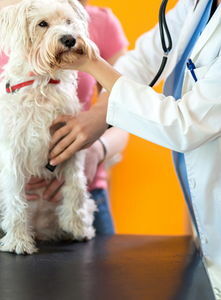 Countryside Vet Clinic provides pet care services for all types of animals. Experienced staff will ensure that special member of your family is given the very best of care. confident you have chosen the highest quality of service the industry has to offer. At Countryside Vet Clinic we know you have put your trust in us to make sure your pet receives the unique attention they deserve. Meet Shane Winter, the Farm Manager of the ERC. Shane graduated from Wayne State University with a Bachelors of Science degree in Biology. Shane is Dr. Larry and Dr. Janet’s son. Shane is an experienced horseman and is plays a key role in mare and foal care and training. He also helps manage farm maintenance and helps with large-animal work at the vet clinic. Shane and his wife Carly also live in the Fairbury area and are involved in the community. Carly is a teacher at Fairbury Jr./Sr. High and they have a dog, Zeus and a cat Bo. Dr. Janet Winter was born and raised in nearby Diller Nebraska. Brought up on a dairy farm, her love for animals began at an early age. After graduating from Diller high school, Dr. Janet attended Kansas State University where she earned her bachelor’s degree in Science. She then attended Kansas State University School of Veterinary Medicine (where she met Dr. Larry!) and graduated with her D.V.M. in 1983. Dr. Janet and Dr. Larry moved back to Fairbury after graduation and opened their mixed animal practice. They have two sons: Dr. Jonathan, who works with them at the clinic, and Shane, who is the farm manager at the ERC. Dr. Janet enjoys cooking, sewing and gardening. She is also very active in the community. Dr. Janet specializes in small animal medicine and has established a well-known reputation for her outstanding pet care. Dr. Janet is also passionate about incorporating state-of-the-art technologies such as laser surgery! Dr. Jonathan Winter was born and raised here in Fairbury Nebraska! He knew his passion for animals from an early age and often accompanied his parents on calls and at the clinic. Jon attended Kansas State University and received his bachelor’s degree in Animal Science. He then extended his parents’ legacy and graduated with his D.V.M. in May 2010 from the Kansas State University School of Veterinary Medicine. Dr. Jon and his wife Emily, a science teacher at Fairbury Jr. Sr. High School, have two daughters, Delilah & Mae that keep them busy. Jon enjoys woodworking, target-shooting and watching football. Dr. Jon specializes in small animal diagnostics and soft tissue surgery. He also enjoys large animal procedures and exams.